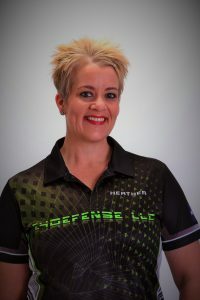 Heather Eckert has a passion for training, especially for training law enforcement officers. ‘I really wanted to make a difference and save lives,” she explains. Owner of E4Defense, LLC, Eckert began her interest as a Criminal Justice major in college. With multiple law enforcement certifications under her belt, she has been training officers and civilians since 2010. She saw that some police departments are able to provide their officers with a lot of continued training outside of the Academy, while others have to make due with limited budgets. Eckert decided to help train those particular officers as her way of giving back to the community. 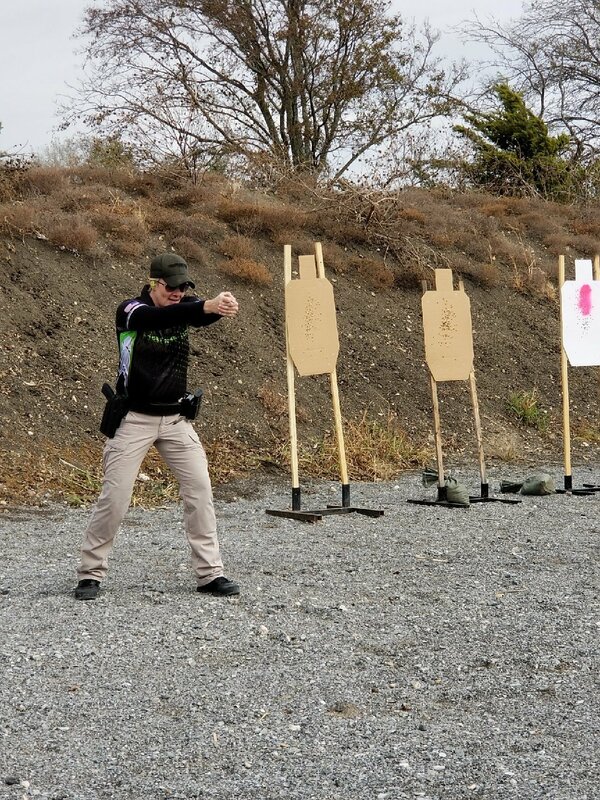 Besides continuing firearms training and keeping up on the best tactics, Eckert also teaches “mindset training.” “Having a trained mindset for duty is paramount in Law Enforcement. Officers need to be mentally prepared for duty, whether it’s taking care of themselves, having good observational awareness or knowing and recognizing body language and especially pre-attack indicators,” says Eckert. Julianna Crowder and Robyn Sandoval of A Girl & A Gun Women’s Shooting League (AG & AG) recognized Eckert’s passion and asked her to deliver training when they started their “Back the Women in Blue” program and scholarship fund in 2016, specifically aimed at providing more training for police officers. “I don’t think there is ever such a thing as enough training. It’s such a great opportunity for law enforcement officers to get more training, so any support we get is awesome,” she explains. Donating to the scholarship fund is also an opportunity for others to give back to the community by supporting law enforcement training. In addition to training for the Back the Blue Program, Eckert is also an instructor at the AG & AG’s annual National Conference. Teaching classes such as Close Quarter Battle Shooting and Rifle, she is also extending her reality based training to the women attending this program. In a class called, “Closing the Reactionary Gap,” attendees will learn about the gap that exists from seeing a threat to the time it takes you to react. She will be training on the human body’s natural reaction to stress, situational awareness, body language and pre-attack signs. The women get to run through force-on-threat training scenarios with airsoft guns to practice the skills taught in training. “Civilians are not normally offered this type of training, so it’s a great opportunity for them,” smiles Eckert. She also intends for the women to recognize the need to exit situations. “We want them walk away and go home,” she explains. Over her past three years of instructing at the conference, Eckert says she loves seeing women encourage each other and try new things, as they dip into new disciplines and new techniques, paying attention to what they do well and what they want to do better. In case all that is not enough, Eckert is also a facilitator for the Frisco chapter of AG & AG. After teaching at the conference, she learned that the group is focused on quality training for women, and knew it was a good fit for her. Eckert is a big fan of A Girl & A Gun. “From brand new shooters to experienced shooters, it’s just an awesome organization. I really encourage women to check them out.” The sold-out sixth annual National Conference is being held April 19-22 in Burnet, Texas. The next Back the Women in Blue training event will be September 25-28 in Dallas, Texas. You can nominate a deserving officer for a scholarship on the website. Heather is such an amazing woman! I am so proud of her dedication to share so much wealth of her knowledge with others that want grow and succeed! Thank you for all you do!